The Webber Parcel is comprised of 25 acres of both meadow and woodlands. It contains important wooded, open space, wildlife habitat, and plant habitat. It also abuts North Grafton Elementary School. 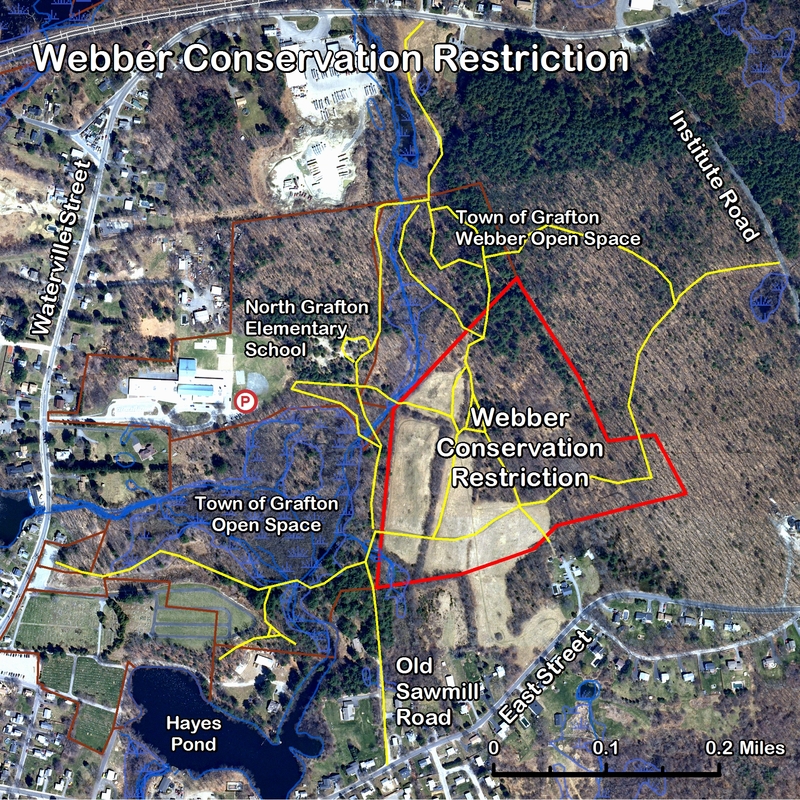 The preservation of this land was a collaboration between the lands owner Anna Webber, the Town, and the Grafton Land Trust. Because Mrs. Webber was concerned with her property being "taken over by a large subdivision" she sold 50 acres of land to the Town. In addition to maintaining a portion of the land for future municipal use, a portion of the land was sold for development. The intention of this sale was to recoup the original purchase price and engineering costs. Most importantly however, 25 remaining acres was then put under a Conservation Restriction now stewarded by the Grafton Land Trust and will be preserved forever. As Selectman Christopher LeMay explained "We feel this is something worthwhile as it preserves open space, provides the town with future municipal use and we are mitigating the cost by selling residential lots. Also, this is a key piece because it's adjacent to the elementary school." (T&G, 4/11/02, Dan De Leo).